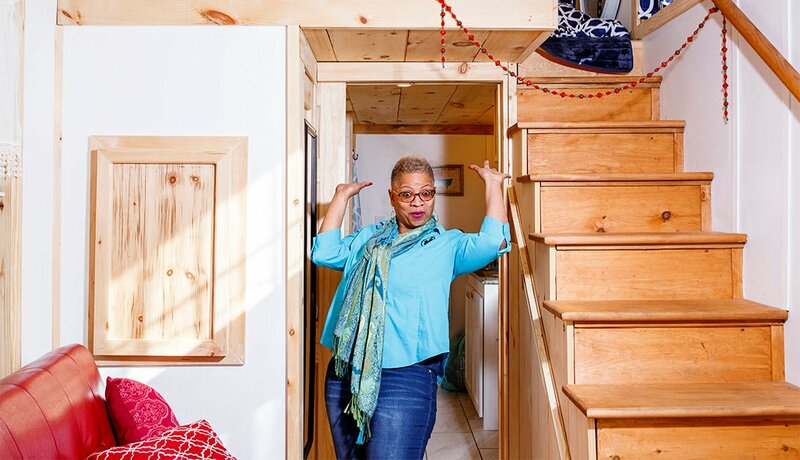 Tiny-home owner Nikitia Moore and others show off the many ways to customize the decor in a tiny home. 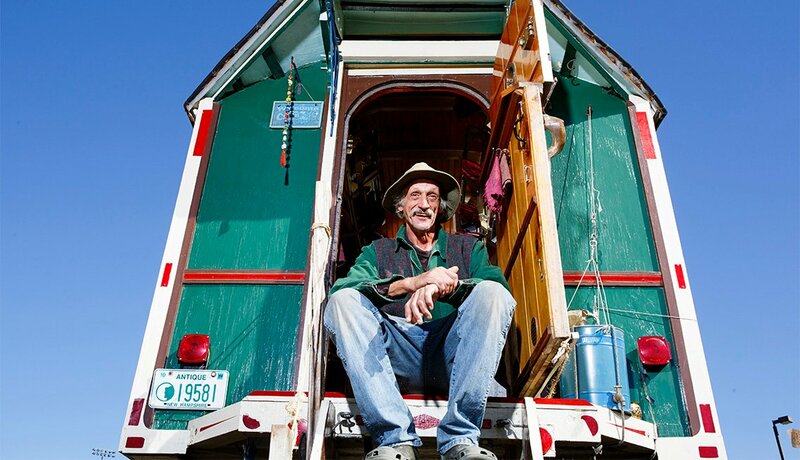 If you have any doubt about the growth of the tiny-house movement, talk to John Kernohan. He and his wife, Fin, run annual tiny-house events in Florida and Georgia. Since 2016, they’ve seen dramatic increases in both overall attendance and participation by tiny-home owners. Almost 100 tiny structures — including converted school buses — were on display at the Georgia Tiny House Festival at the Atlanta Motor Speedway in March, John Kernohan said. That’s almost double what it was last year, and five times the number that showed up in 2016. The Florida Tiny House Festival, which is held in St. Augustine in November, is even bigger. Last year, nearly 60,000 people attended to take a close look at the 116 tiny homes on display, he said. Here’s a sampling of what visitors saw at the recent Georgia Tiny House Festival. 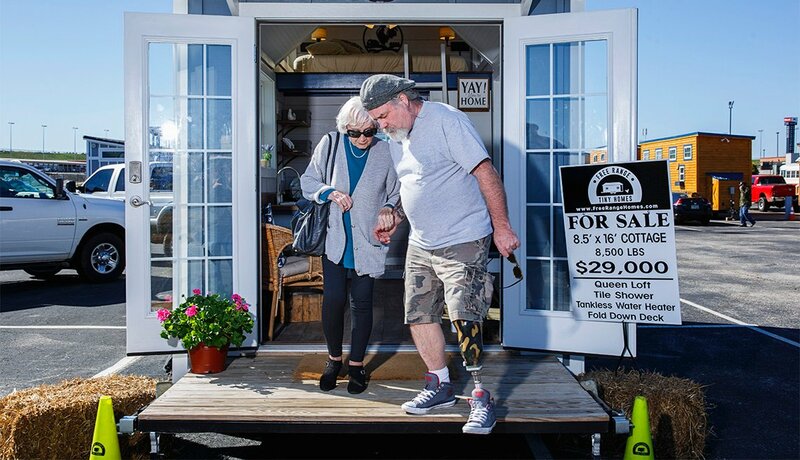 People curious about just what’s possible inside a tiny living space had plenty to see at the Georgia Tiny House Festival at the Atlanta Motor Speedway in March. Here’s a small vintage camper decorated with flair. 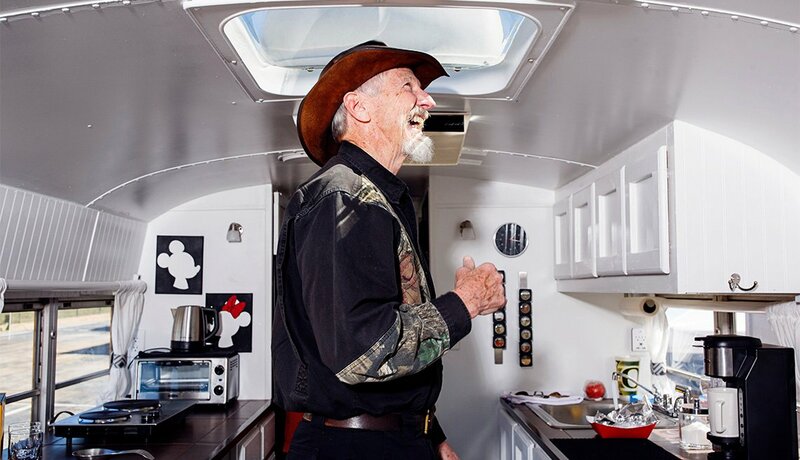 One form of tiny living involves “skoolies,” or school buses converted into homes. William Barker, who said he hopes to build a home from a shipping container, looked around for inspiration. Although more tiny houses are being constructed on foundations, homes on wheels — also called movables — remain popular. Kenneth Wright, 57, of Gilsum, N.H., built “Sweet Pea” after years of consideration. 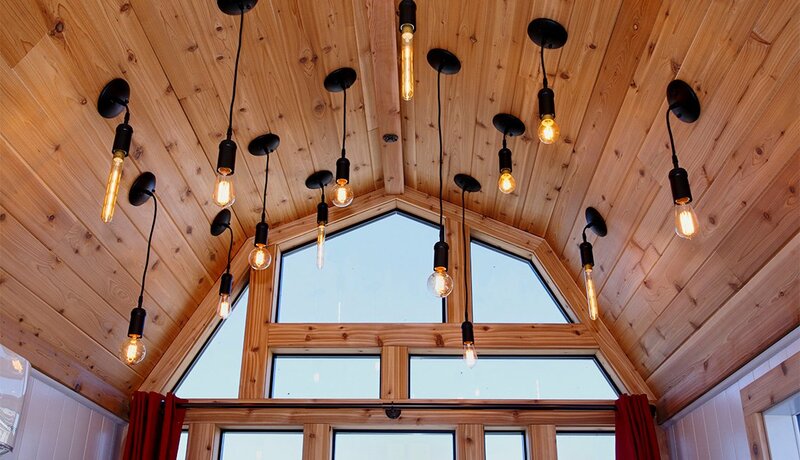 The rooms in tiny houses tend to flow together, and distinctive ambient lighting can be used to help accent and more clearly define a living room. This example is the Red Barn Tiny House. With open space limited, it doesn’t make sense to take up a lot of room with a table. 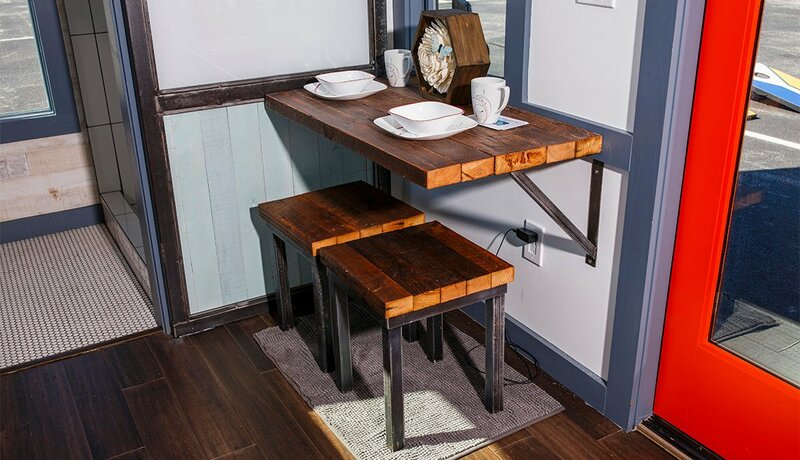 Many tiny houses make use of tables that fold down from the wall or — like this one — fit snugly into a corner. 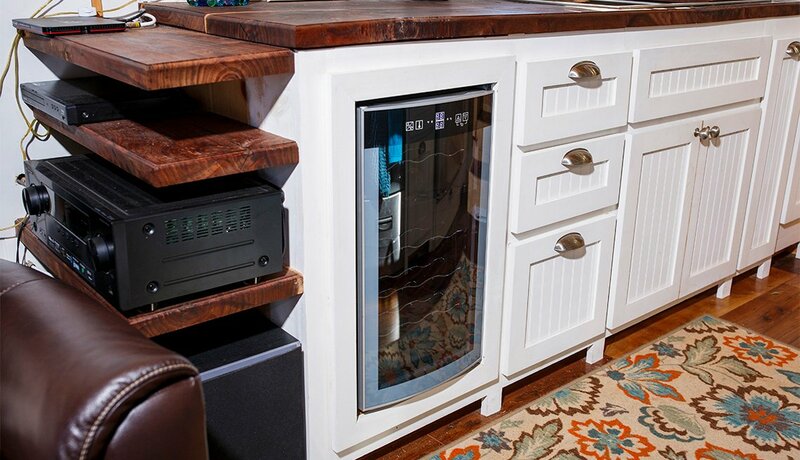 This Bolder Container Home model also has a Murphy bed. Many people assume that kitchens in tiny houses must be fairly spartan. That’s not the case for this kitchen in a house designed by furniture company Lamon Luther. 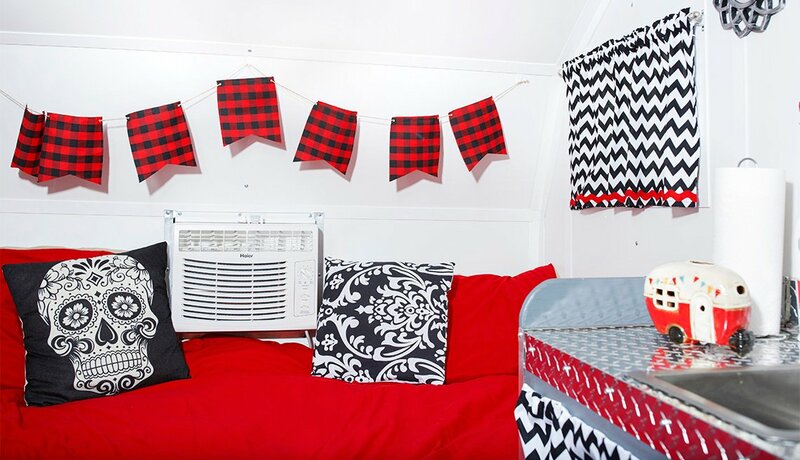 As in many tiny homes, the use of white paint helps to open up space. John Baldwin, 62, checks out a tiny house with his mother, Beryl Baldwin, 84, both of Conyers, Ga. He came to look for ideas, as he plans to build a tiny house on his property. He said he will use it for guests. 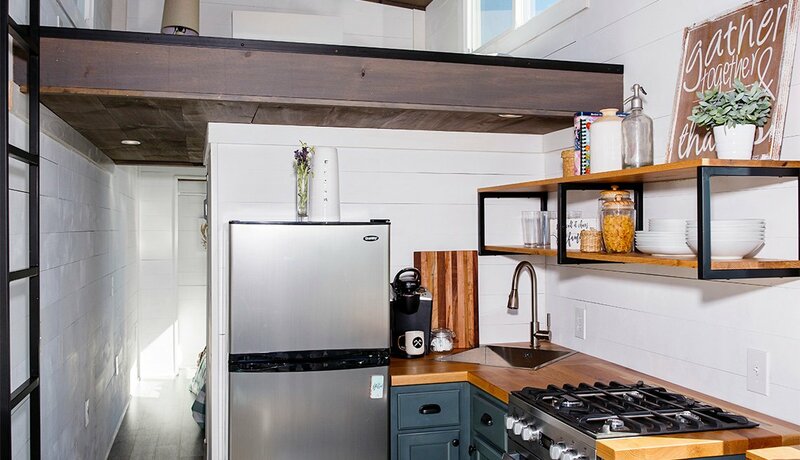 Kitchens can be tricky in tiny houses. There is a small amount of counter space, so it's important to reduce clutter. This design by Hummingbird Tiny Housing features shelving dedicated for electronics. In most houses, the space under stairs is often the most underutilized. That's not the case in tiny homes. 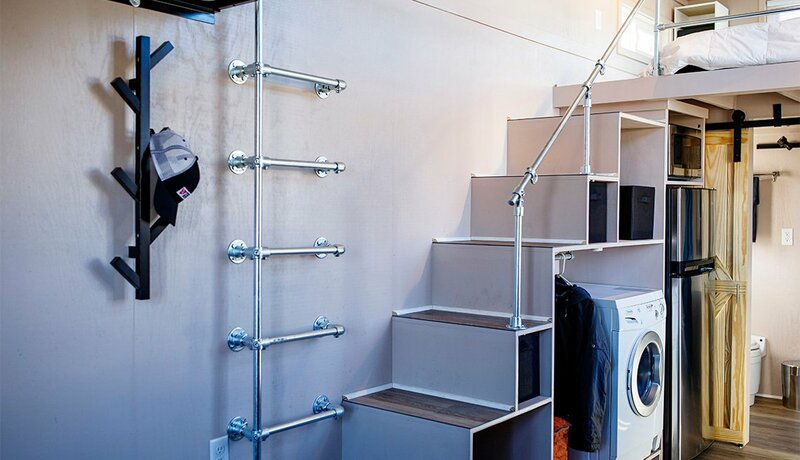 It’s common for that valuable space to be filled with drawers, shelves and — in this model by the Bigheart Tiny House Co. — a small laundry. 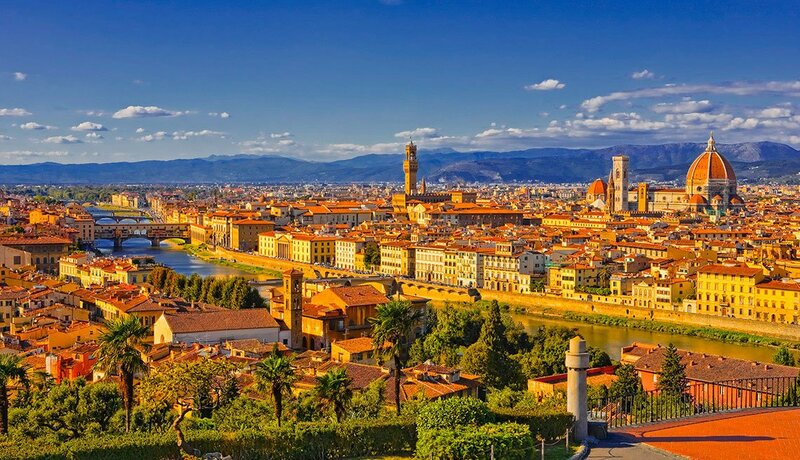 Tiny Retirement: Is It for You?